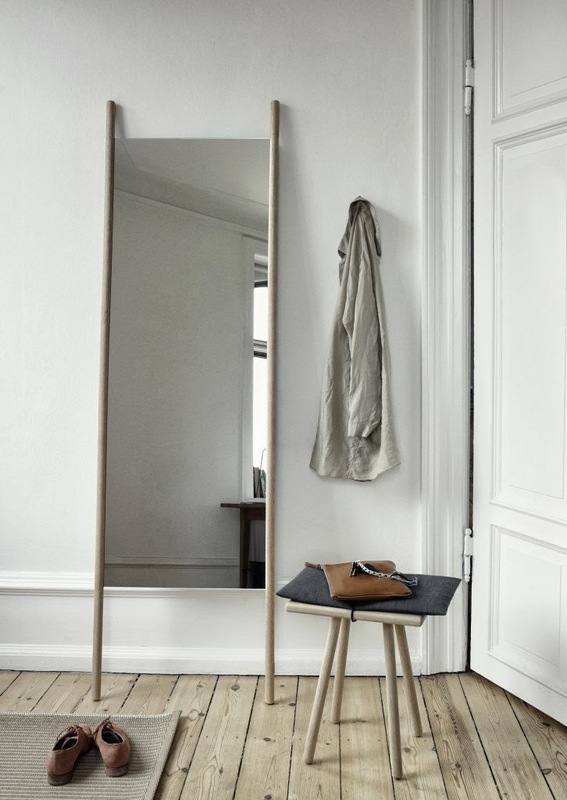 During the recent Design Trade Fair in Copenhagen, bloggers who were lucky enough to attend unanimously sang the praises of designer Christina Liljenberg Halstrøm. Showcasing her new Georg Collection for Danish design company Trip Trap, it's easy to see why. 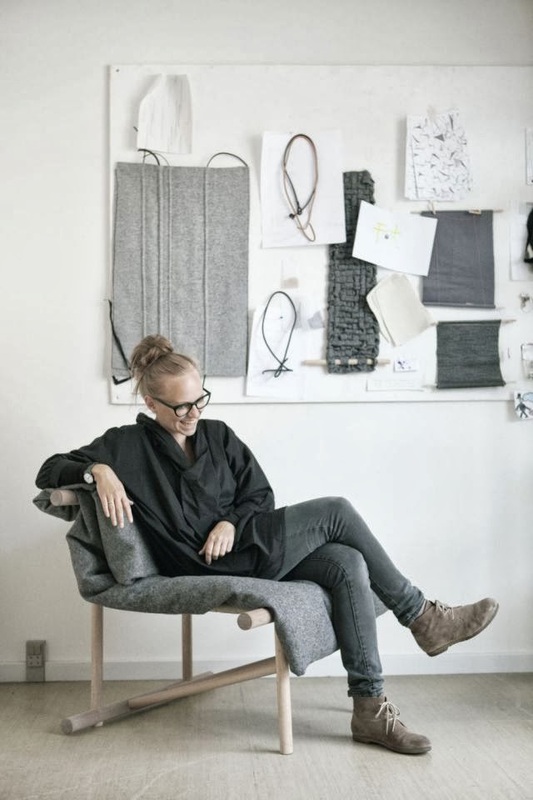 Working mainly with wood, leather and wool, the timeless furniture series demonstrates Christina's immense talent and beautiful design aesthetic. 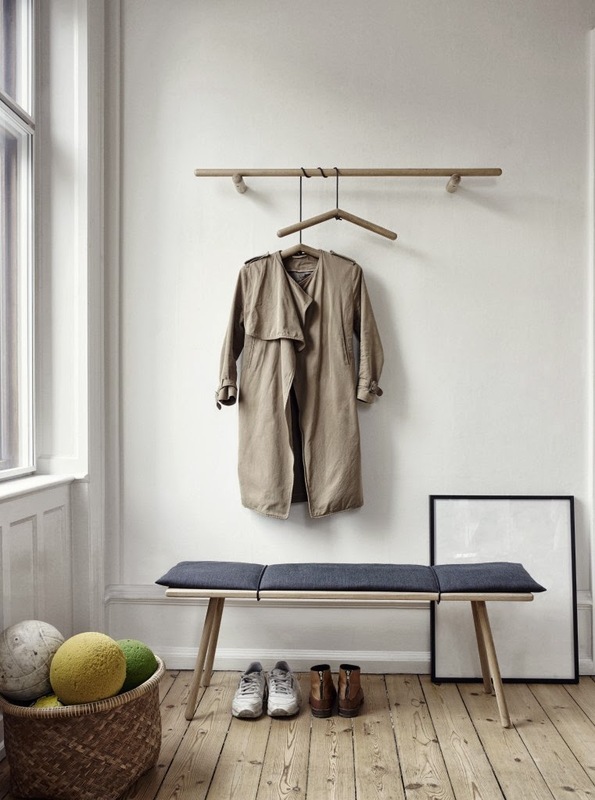 Created for the entryway, the pieces can however be used in many different areas of the home. With functionality being key, Christina has designed the furniture in such a way that will help eliminate unnecessary extras. Having finally shifted towards a more uncluttered, minimalist style in our new home, this concept really resonates with me, as does Christina's elegantly simple, clean design. 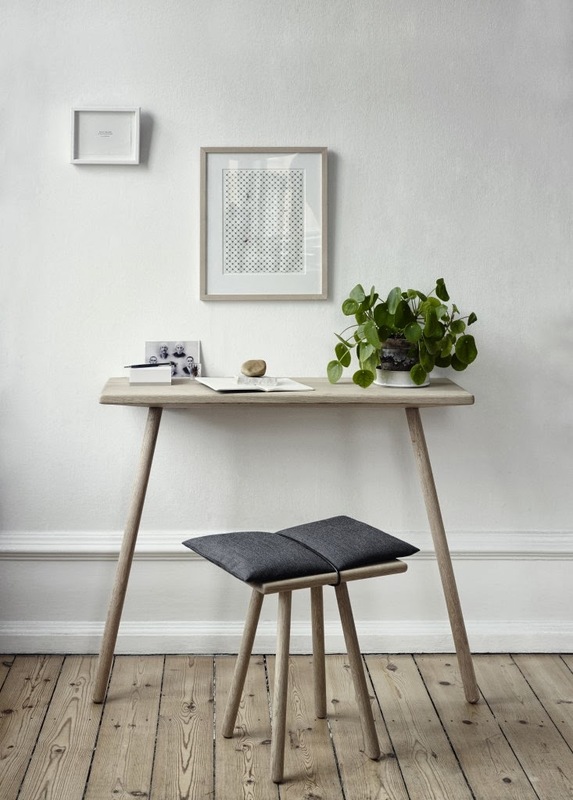 With a Swedish mother and Danish father, Christina's Nordic roots show clearly in her minimalistic approach and choice of natural materials. 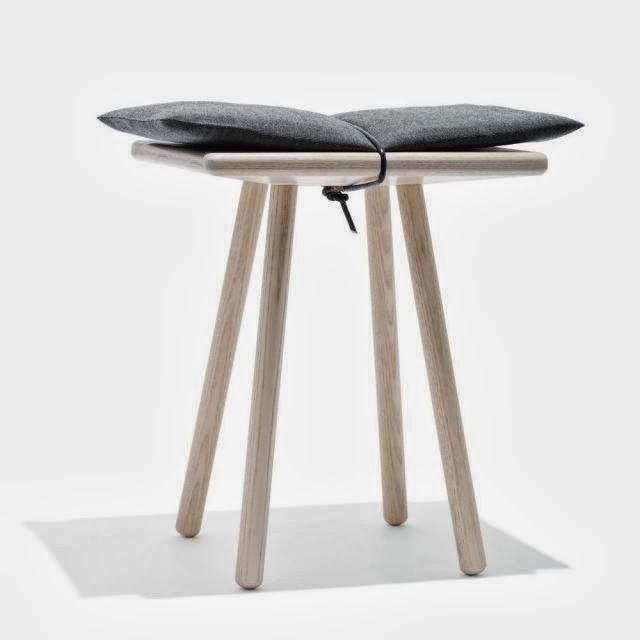 I love the combination of untreated oak, raw leather and dark grey wool, shown above with the Georg Skammel stool. Having still not sorted out a full-length mirror in our new home, the George Spejl would be a welcome addition. In fact now that I've discovered this stunning piece, I'm not sure any other mirror will measure up! Here are a couple of earlier designs by Christina. 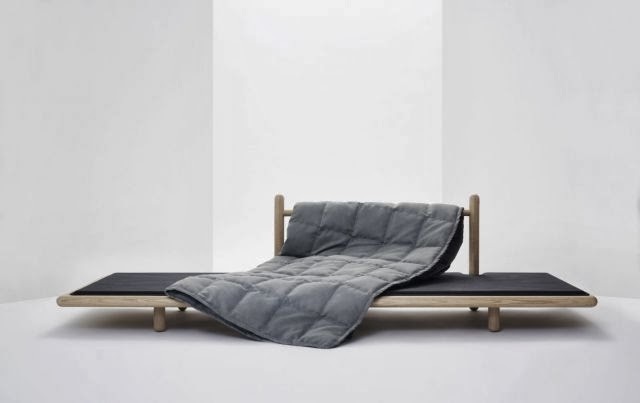 The award-winning Beddo (Japanese for bed) above was created in 2010 as "the ultimate piece of resting furniture." 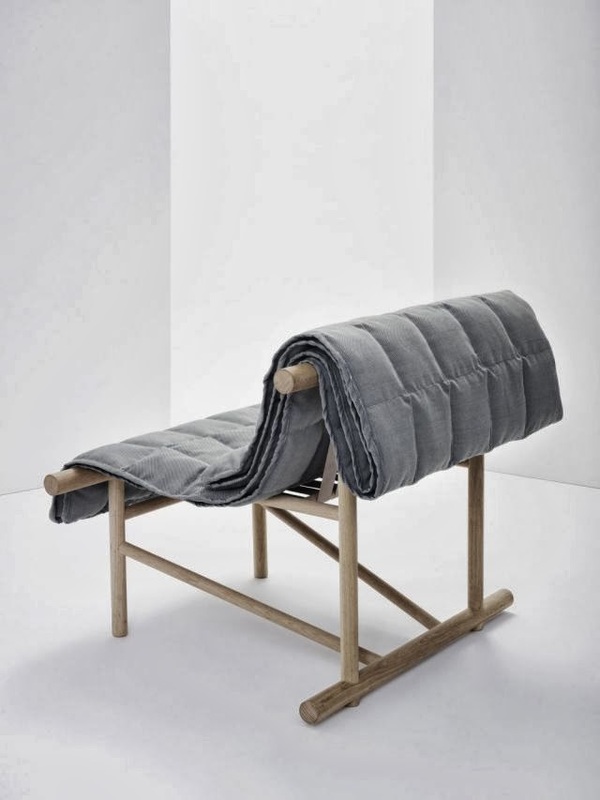 A cozy woollen duvet is designed to be both a sculptural and changeable upholstery element for the minimal sofa. Christina sitting on the Cover Up chair which was initially created in 2010 for an exhibition. 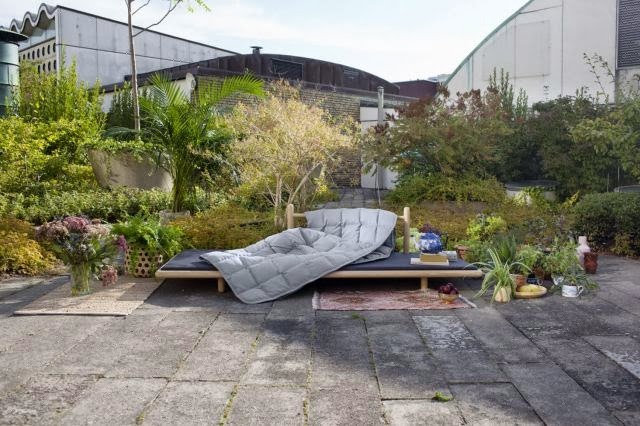 Innovative yet timeless it is now being produced by the Danish outdoor furniture company With A View. Find out more about Christina over on her website and check out the full Georg range here. So true! Thanks for your comment.